All Together Good is a community association that discovers and develops what is good in people and places. They work with local people using an innovative Asset Based Community Building and Transformational Coaching Approach funded by the Big Lottery Awards for All. 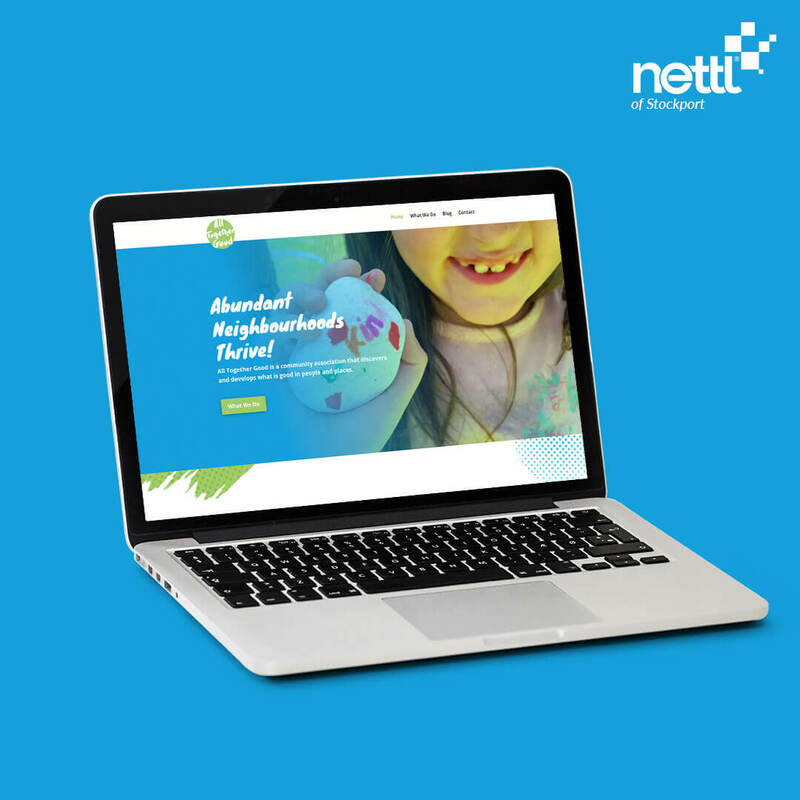 Nettl of Stockport’s challenge was to create a visual identity starting with a new logo design, and colour ways. Working closely with All Together Good, we developed the branding and print collateral which followed common design themes and colour palettes. This branding gave us a great template to create a brochure site which clearly explains what All Together Good offer, blog posts and how to get in contact. Nettl of Stockport developed this website allowing All Together Good to make simple changes to the site, as well as create blog posts.